Here’s what’s up in the world of TV for Wednesday, October 18. All times are Eastern. 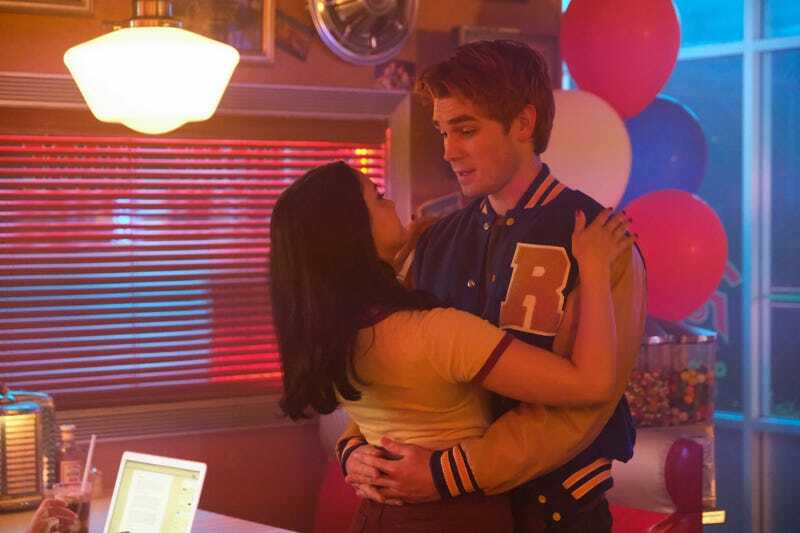 Riverdale (The CW, 8 p.m.): When Riverdale returned with its season-two premiere last week, it was clear that the show benefited from the time off, giving the uninitiated a chance to binge the first season on Netflix. Riverdale more than doubled its audience from the May finale, and gave The CW its best teen-viewer ratings for any series since a 2012 episode of The Vampire Diaries. Now that the series has your attention, this week’s follow-up sees the gang banding together to try and save Pop’s from possible closure. Lucha Underground (El Rey, 8 p.m.): It’s the fourth-season finale, so this is your last chance for the time being to savor the unique pleasures of watching these masked heroes and villains battle it out.